Full 1 hour Medical Assessment where ALL of your symptoms and medical concerns will be addressed by Dr. Nerman. 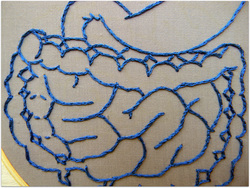 By the end of the visit Dr. Nerman will have a comprehensive treatment plan to help you overcome your health concerns. He may prescribe various supplements or Naturopathic treatments to address your health issue. For a description of some of these therapies click here. In some cases, as part of the overall treatment plan for your healing process, it may be necessary to come back for in-house treatments or for reevaluation of the treatments prescribed on the initial visit. The treatments chosen by Dr. Nerman for you may require followup of progress or the treatment protocol may be a stepwise multistage process. You can ask Dr. Nerman if this will be the case on your initial visit. Follow up visits are 45 min long and may include Acupuncture, changes to supplement prescriptions, or any of the other Naturopathic therapies provided by Dr. Nerman. Food Intolerance Testing: 56 Food Allergy/Sensitivity Blood Test + Diet Consultation Visit. Are you suffering low energy, stomach pain, headaches, chronic sinusitis or skin issues? You may have a intolerance to a certain food which is producing inflammation in your body that is leading to these issues. Dr. Nerman is the exclusive provider of IgG FOOD INTOLERANCE BLOOD TESTING in Jerusalem that detects food intolerance in up to 56 foods. Identification and removal of problem foods from the patient’s diet will, in many cases, rapidly improve the patient’s condition. For more information on food allergy testing click here. When a patient requires a more thorough intake and assessment there is now the option to have a full Naturopathic visit alongside the IgG Food Intolerance blood testing. This option gives the patient the ability to identify their food intolerances while at the same time offering them a full naturopathic assessment and treatment all at one discounted price. This is by far the best choice for people who want a more targeted and comprehensive treatment plan and who want to work on an ongoing basis with Dr. Nerman to address the totality of their health problems. 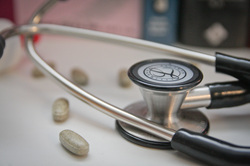 Good Naturopathic Care Packages: Best care for the best value. Sometimes a patient needs a little extra care and time to get well. Dr. Nerman knows this and to encourage patients to follow through with the much needed treatment plans toward full recovery Dr. Nerman offers the "Good Naturopathic Care packages" which provide the patient with an affordable way to get the valuable care they require. There are four options of this package to choose from. At the end of the initial visit the patient has the option to choose whatever plan works best for them. 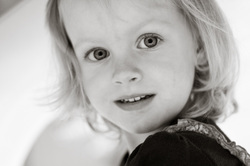 You know that your child could truly benefit from Naturopathic medicine. You have tried and tried to get to the root of your child's problem with Western Medicine only to be left without a solution. You are tired of giving your child countless drugs that you know are just masking their symptoms instead getting to the bottom of why they are sick. There are so many natural ways to improve your child's health. Whether they suffer from low immunity, chronic colds and flus, colicy tummies, recurrent ear infections, ADHD/hyperactivity, autism/spectrum disorder or skin issues/eczema, naturopathic medicine offers effective treatments. Dr. Nerman also knows that private alternative medicine is costly and that it needs to be affordable for your kids. That is why Dr. Nerman offers special Child Wellness Visit pricing - reduced rates for children 12 and under. *Note: These options are for acupuncture visits only. They do not include herbal medicine prescriptions, medical diagnosis or use of any other treatment modality. For a more comprehensive Naturopathic medical visit a patient must choose from the the Naturopathic Follow-up visit options above. 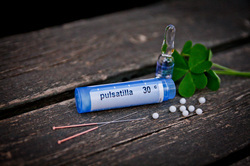 Initial Visits for Acupunture are the same price as an initial naturopathic visit and includes a TCM diagnosis. Classical homeopathy and takes into consideration the specific inborn nature (constitution) of the patient. 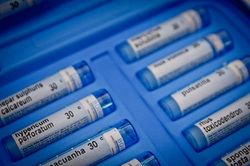 An extensive intake is required in Classical homeopathy to find the right remedy as well as searching for the correct remedy. Over 6000 remedies exist in nature and Dr. Nerman uses specialized computer programs to find the correct remedy based on the patients individual symptom picture found during the initial homeopathic intake. Although finding the constitutional remedy is time consuming, it can have powerful effects on the health of the individual, at times producing cures that can not be found via any other medicine. After the remedy is prescribed Dr. Nerman meets the patient for followup and assessment. Dr. Nerman knows that it is not always possible for a patient to come in for a visit. Whether it is because you are a busy Mom with many children to take care of or you too sick to get to the clinic, Dr. Nerman is now offering house call visits. 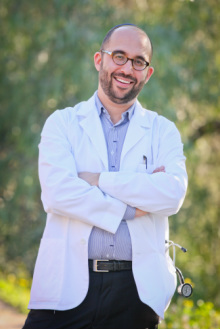 For patients living in the Share Chesed, Rechavia, and Nachlot areas of Jerusalem, Dr. Nerman will perform a house call visit for an additional ₪80.